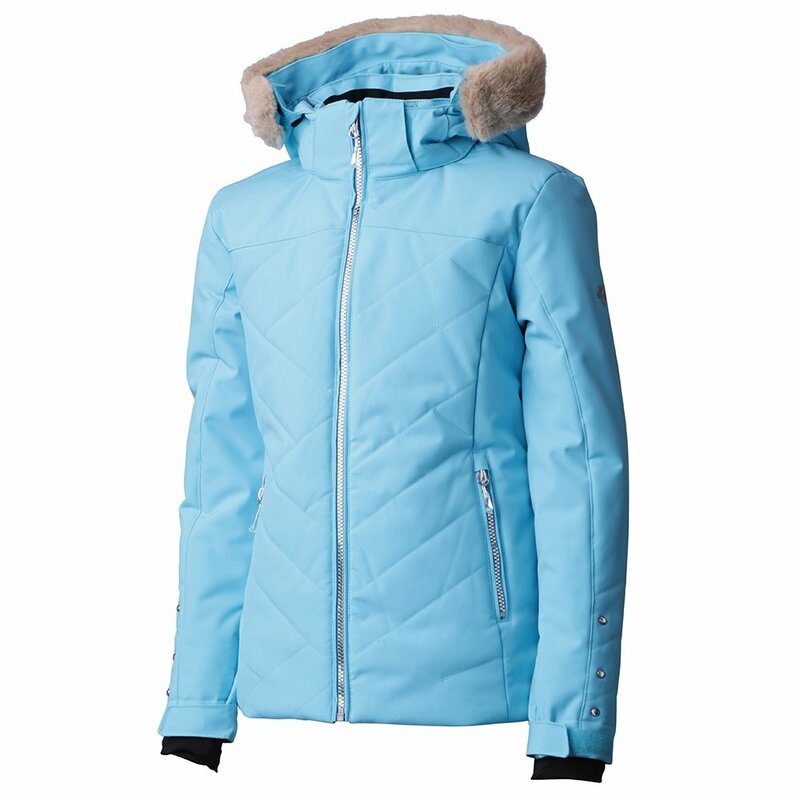 The Descente Sami Insulated Ski Jacket is perfect for kids who want the elegant styling of a posh women’s ski jacket in a slightly smaller, girl-sized package. Diamond quilting on the front and back not only gives this jacket a classic ski look, it also helps the insulation stay in place so no cold spots develop. The outer fabric is coated with a waterproof layer rated to 20K, and Motion 3D™ Fit technology ensures that the jacket is designed to compliment her form in areas where she moves the most. That means that despite having 100g of Heatflex insulation, she’ll still be able to move freely. A removable faux-fur hood detail and jewel rivets on the cuffs give this kid-sized jacket a luxe look.